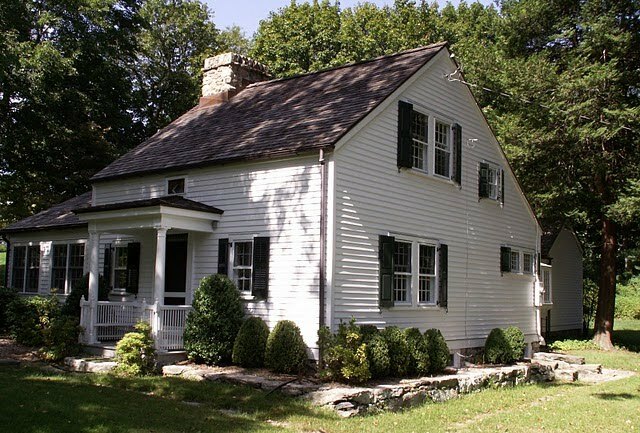 This family home at 23 Cliffdale Road was built circa 1728. It was here that a major tragedy took place during the American revolutionary war conflict in which a Mead ancestor was killed. “The old house was raided by a party of British and Tories. Obadiah, a son of Benjamin III, was then quite a lad. His sisters, Anna and Phebe, who were younger, hid with their mother in the cellar of the old house as the Redcoats marched up the road, and their father and the older girls, Mary and Theodosia, barricaded the doors and windows, while Obadiah, the only son, solicitous for the cattle without, drove them into the yard, then beat a hasty retreat to a neighbor’s barn. “An unfriendly Tory, Knowing the fact, informed the British soldiers, who surrounded the barn, threatened to set fire to it unless he came out. He, too brave to surrender, jumped from the barn and ran across the orchard towards the rocks above Dyspepsia Lane (Cliffdale) but the British followed. 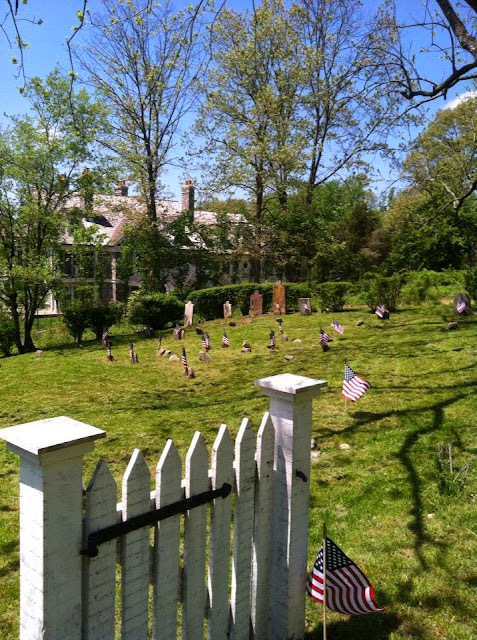 The family cemetery at 23 Cliffdale Road is where Obadiah Mead is buried. There is no formal monument stone. His grave is marked by one of the anonymous fieldstones that dot this site. It has been long known that young Obadiah Mead is among those interred at this family plot on what was the Mead Farm in North Greenwich. 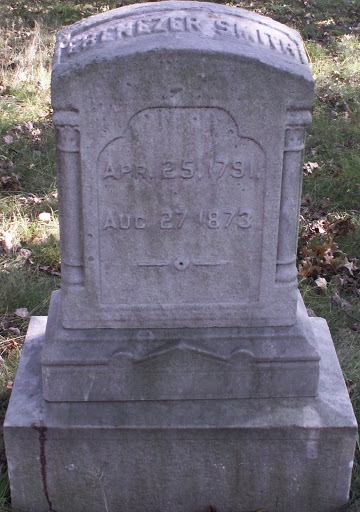 Many graves are marked with plain fieldstone markers. Which one is his? We do not know. A proper memorial stone for this young casualty of the American Revolutionary War conflict is long overdue. That needs to change. We will be planning on placing a stone in his honor. If you wish to be a part of this contact us at our email address here. This is Caroline Mills Smith Mead. A native of Stamford and second wife of William H. Mead, Caroline was a very accomplished woman. In so many ways she was ahead of her time. For an obituary upon her passing in 1910 please click this link. "I was just thinking about you the other day," said Karen Fredericks, the collections manager of the Greenwich Historical Society said to me. I laughed and replied, "Good thoughts, I hope!" We enjoyed a good laugh over that one. The reason? This was news that made my day. Many years ago our grand-aunt, Miss Mildred Mead, gave the Greenwich Historical Society four small portraits on permanent loan. They are names very familiar to me and to those associated with the family cemetery plot off Relay Place and on the eastern shore of the Cos Cob Mill Pond. The gravestone of Ebenezer Smith 1791-1873. Picture taken September 18, 2008. 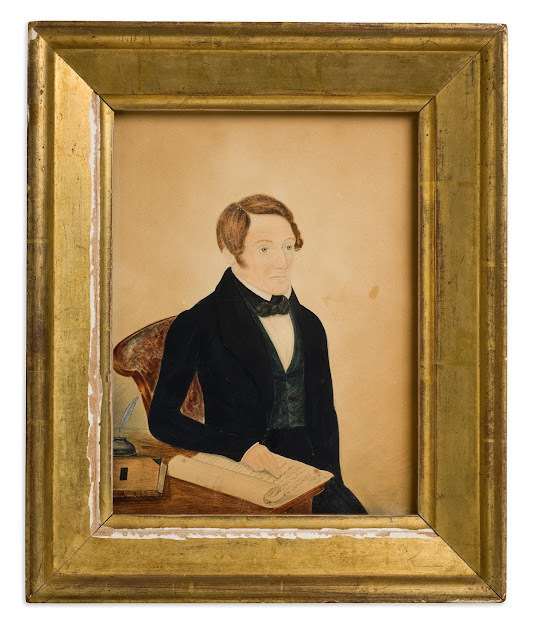 Ebenezer Smith was the father of Caroline Mills Smith Mead, the second wife of William H. Mead whose home was where Cos Cob Elementary School is today. Smith was also the father of Greenwich Town Clerk George Jackson Smith. He was the owner of the Bush Holley House, operating it with his wife as a boarding house for railroad workers. That was in the pre-Art Colony days. Ebenezer Smith Portrait. Greenwich Historical Society Archives. Pictured above is the portrait of Ebenezer Smith. 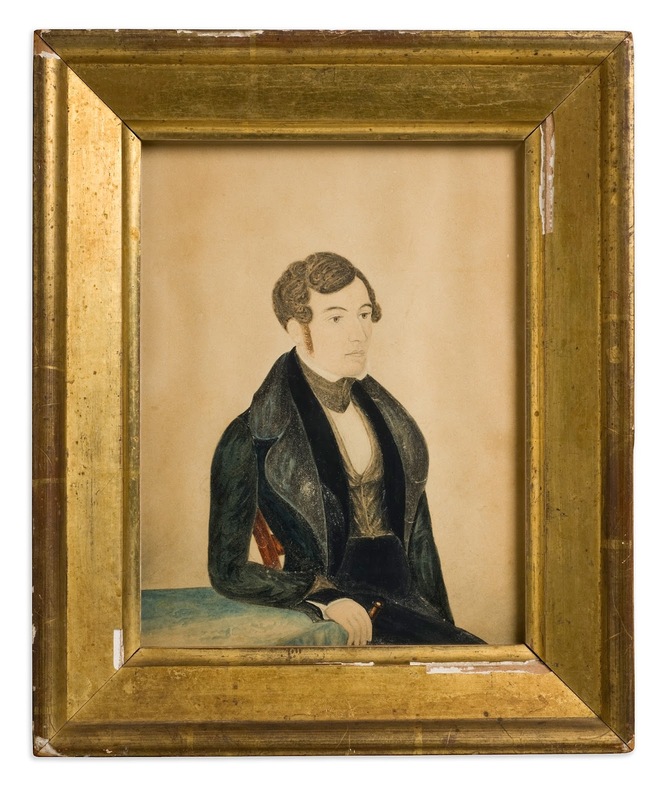 No date is marked anywhere on the front or back of the portrait. My unscientific estimate dates this to his middle-aged years, perhaps in the 1830s or 1840s. 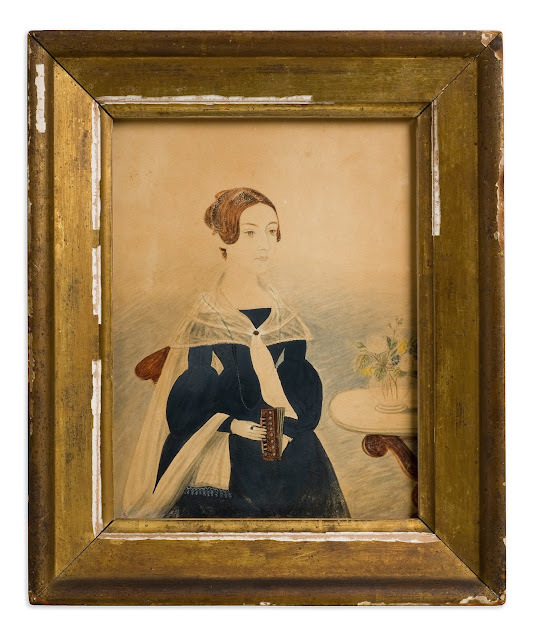 Portrait of Rhoda Page, wife of Ebenezer Smith. Greenwich Historical Society Archives. Portrait of Charles E. Smith. Greenwich Historical Society Archives. 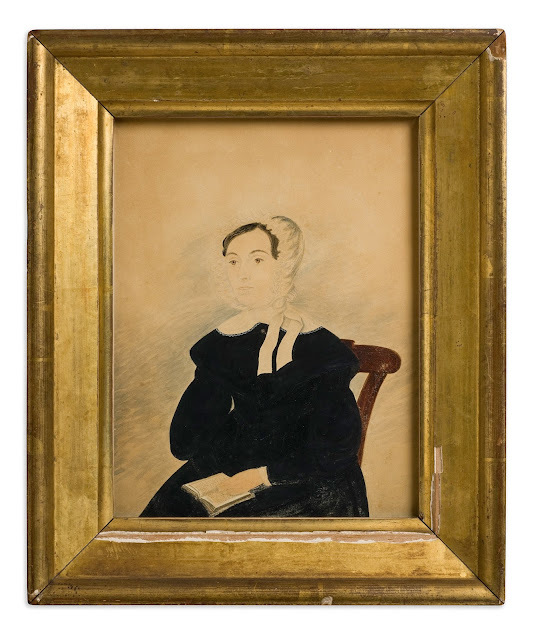 Last -but certainly not least- I saw for the first time a portrait of of Caroline Mills Smith, the second wife of William H. Mead, who made her own remarkable imprint on the history of the Mead family and the village of Cos Cob.